With Apple said to unveil its long-rumored 12.9-inch iPad Pro in November, many assumed that both the iPad mini 3 and iPad Air 2 would see refreshes as well. However, a new report from Economic Daily News [Translation] (via Macotakara [Translation]) says that no new iPad Air will be revealed. While the iPad Air 2 may not see a refresh, the iPad mini 4 and iPad Pro will see introductions. Liaoxian Li, investment advisor at Fubon Hardware, tells Economic Daily News that Apple may want the attention on the new iPad Pro and thus will let its main assembly plant for iPads, Foxconn, focus on the Pro to maximize deployment capacity. Li believes a new iPad Air might not be released until 2016. Economic Daily News has a mixed track record on rumors and the accuracy of this particular analyst isn't known. Additionally, the report claims that the new iPad mini might be the last one as the Apple wants to focus on the two larger iPads in the future. Many people were disappointed with the iPad mini update in 2014, which essentially added Touch ID to the existing iPad mini 2. The next iPad mini will likely be more of an upgrade, with a rumored rear shell featuring iPad Air 2 design elements already making the rounds. While it's possible Apple won't upgrade the iPad Air 2 this year, the company has been constraining supplies of the iPad Air to third-party retailers, suggesting the iPad Air 2 would become the lower-cost option as an iPad Air 3 slots into Apple's tablet lineup. 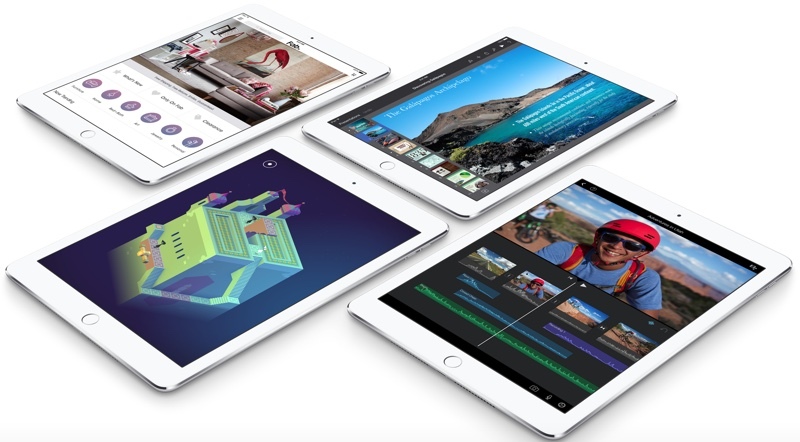 However, it's possible Apple introduces an iPad Air 3 with minimal additions, as it did with the iPad mini 3. I don't understand the hate towards the mini. I love mine. It is way more portable than when I had an iPad. Why can't we have three? If Apple wants to make sure the iPad continues to decline then it's a hell of a good idea not to release an update for another year. I hope the iPad mini 4 gets an A9 with 2GB of RAM and a better display. Hmm. Any chance we might see an official Apple pressure-sensitive stylus to go with this iPad "Pro"? Because, you know, us "Pros" who like to use the iPad for sketching/drawing would love something that actually works, with palm recognition and Wacom-like functionality. Or, when will Apple just up and buy Wacom? I dunno... I'd still prefer to use an iPad Mini for certain things. I had an iPad first off and found reading on it awkward, it put a strain on my wrist when hosting it with one hand. So I opted for a Mini and love it. It has been around the world with me twice so far. If the mini goes.... well its a Kindle next for me. I'd be sad if they dropped the Mini. The Air is much nicer than the originals but the Mini is the perfect size for the way it's used most in my house: by my kids.